Glycopeptides - Classification, Occurrence and Discovery; Separation Methodology; Approaches to the Synthesis of the Vancomycin Aglycones; Chemistry of Carbohydrate Components; Structure-Activity Relationships of Vancomycin Antibiotics; Vancomycin and Related Glycopeptides - Resistance and Mode of Action; Analytical Quantitation and Characterization; Teicoplanin; Vancomycin - A Clinical Overview. ". . .a comprehensive treatment of all aspects of vancomycin and related glycopeptide antibiotics, including their discovery, isolation, purification, analysis, synthesis, mode of action, SAR, and microbial resistance, as well as the clinical application of these important compounds. . . . . .a valuable text. . .a useful library addition. " 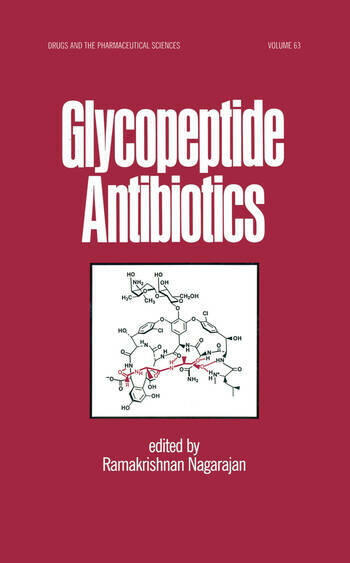 ". . .a well written and produced book which succeeds in its aim of producing an authoritative one volume coverage of the current knowledge on the glycopeptide antibiotics. . . . . .of great interest to researchers. . .an important reference source for all involved with. . .glycopeptides. "